The Jorg Bruder Finn Silver Cup represented the first competitive outing for the newly formed BFA Under 23 squad. 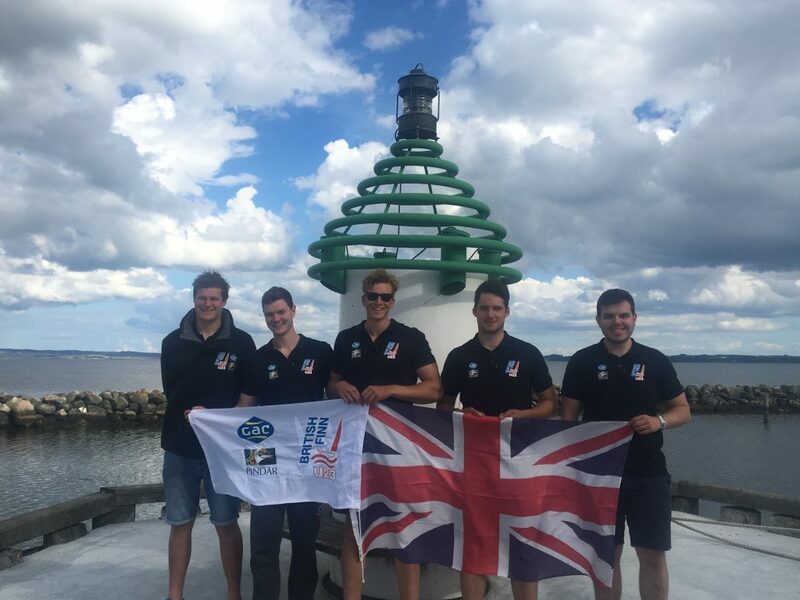 After their 5 day training camp in Weymouth the sailors were raring to get racing against the top junior sailors in the world. For Callum Dixon, Joe Stocker, Matt Stevens and Markus Bettum this was their first ever Finn Silver Cup. 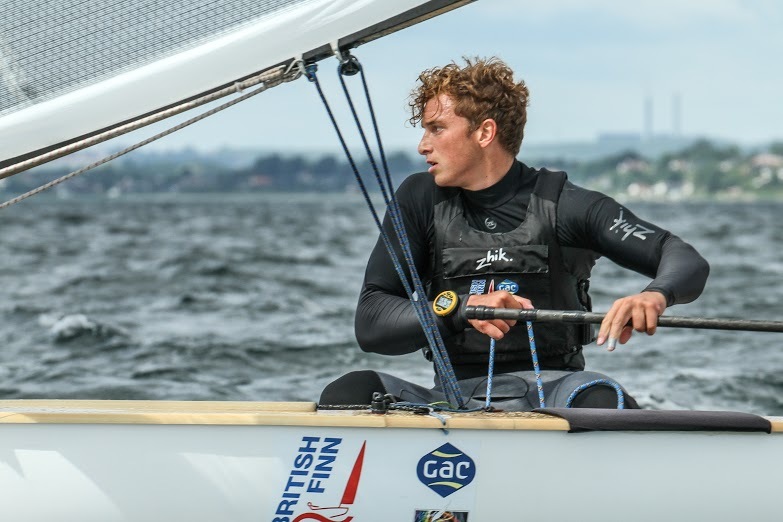 They lined up alongside Cameron Tweedle, who competed at the Silver Cup in Valencia last year, and all approached the event looking to learn, enjoy, and see how they measure up against the top sailors. The week started with a strict equipment inspection and acted as the first lesson for many of the squad. Coming from lasers they had not experienced the ‘Finn’ way of doing things. The inspection was exactly as you would get at a Europeans or Gold Cup so it was a great opportunity to learn the procedure for measurement as well as a reminder that paperwork needs to be correct. There was a short opening ceremony before the fleet launched for the practice race. After a number of attempted starts in very light conditions, the sailors voted with their feet and headed in, leaving the race officer alone on the race course. The sailors were briefly held on shore due to continuing light winds before race 1 allowing the BFA Under 23 squad sailors to socialize with some of the junior sailors from other countries. Once the wind had filled in across the course the race officer sent the fleet out, who were met by light shifty winds and a very flat sea state. Norwegian Brodtkorb won the first race of the regatta, and then finished a close second behind Kasueske (GER) in race 2. Tweedle had a great race, finishing second to Max Kohlhoff (GER) in race 3. He sailed really well to catch the German on the second downwind but was unable to pass before the finish. Wednesday was bright and breezy with many of the Under 23 sailors looking forward to being able to stretch their legs. Bugarin (CRO) won the race 4 and race 5, showing some fantastic speed throughout the races. Olezza (ARG) won race 6, from Teply (CZE) with Bugarin (CRO) finishing third. The BFA squad worked really hard all day and learnt lots from an experienced fleet. Their results were reasonably consistent, in the early 20s, which considering the small amount of time in the Finn is really impressive. Thursday was another physical day for the sailors with 10-15 knots blowing off the club. Bugarin (CRO) won all three races, showing the fleet how it is done in arguably some of the most physical conditions in the Finn. Tweedle and Dixon had the best days out of the BFA squad, showing some really promising speed all around the course. The fleet launched on the Friday to find very light shifty winds on the race course, soon they had been sent back in to wait on shore. After around an hour the fleet were sent back out to find a steady 7-9 knots on the course. Kohlhoff (GER) had a great first race winning on the water but after an incident at mark 1 he was disqualified leaving Olezza (ARG) to win the race. Race 11 saw 11 boats disqualified and allowed Hector Simpson (GBR) to take his first win of the week. Simpson was the first boat to sail the correct course and joined forces in the protest room with the Race Committee to help throw out the first 11 boats. The Race Officer sent the fleet in after Race 11 as the rain started to come down. The BFA squad struggled in the challenging shifty conditions but all gained valuable lessons from the conditions. The final day of racing saw two races scheduled. Race 12 was won by Kasueske (GER) who overtook Teply (CZE) on the second beat. Race 13 was led by Simpson (GBR) most of the way around before being passed by Kohlhoff (GER) halfway down the run. Kasueske managed to overtake enough boats on the final downwind to be crowned Junior World Champion.